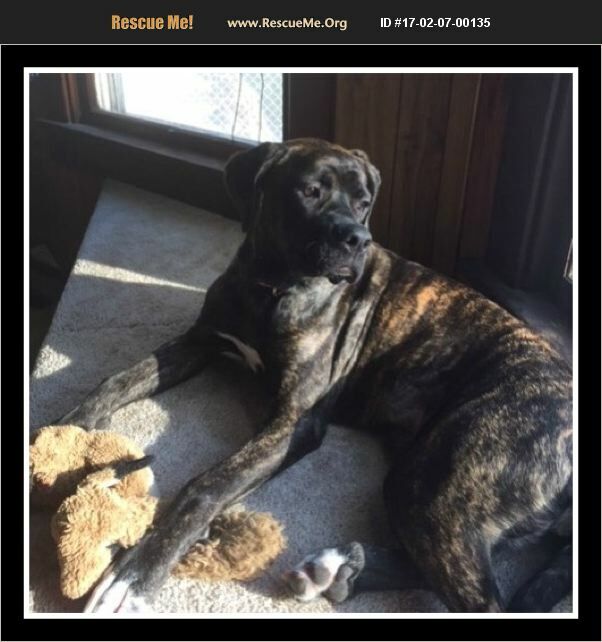 Nebraska Bullmastiff Rescue View other Bullmastiffs for adoption. This is Chloe, a very special girl looking for a very special forever home. She is an 8-9 moth old Bullmastiff/Neapolitan Mastiff mix. Chloe had a rough start to her young life so she is very timid and slow to warm up to people. She needs to be the only pet in a home with no small children. Chloe is going to need a person who has lots of time and patience to work with her. We ask that any potential adopter be "local". It is going to take several meetings before Chloe would be ready to go to her new home. NO EXCEPTIONS.